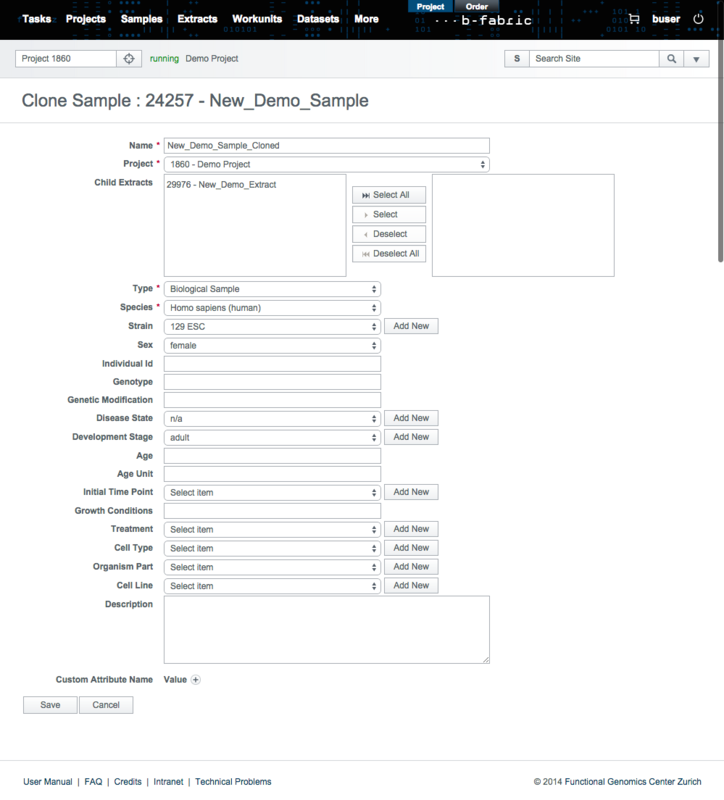 Go to the show screen of the sample you want to clone. By clicking on the 'Clone' button you will get to the clone screen. 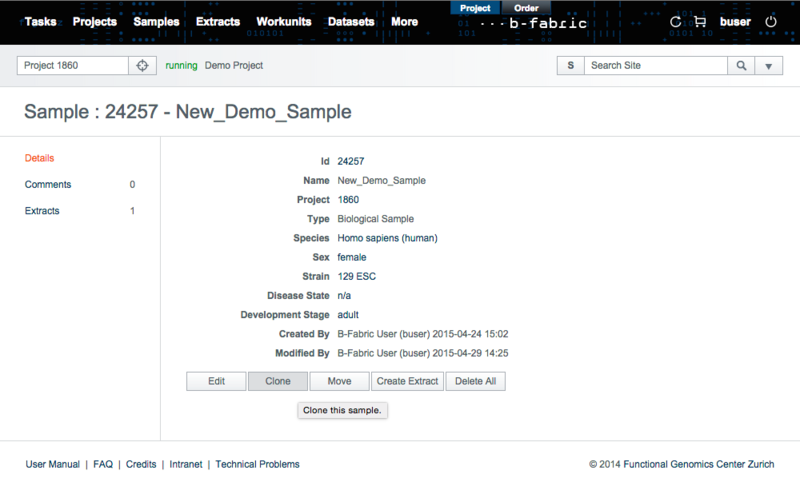 Note that the 'Project' drop down menu allows you to select whether you want to clone the sample in the same project or somewhere else. In the 'Child Extracts' selection menu you can choose the extracts of this sample that you want to clone with it. Any extracts that you select here will be cloned with all their child extracts as well. When cloning a sample to another project this might require the cloning of additional samples. E.g. if you have the sample A with child extract B and sample C with child extract D. Assuming the extracts B and D have the combined child BD, cloning sample A with its child extract B within one project would only require cloning A, B and BD. Doing the same (cloning sample A) from one project to another will, however, require cloning C and D as well. 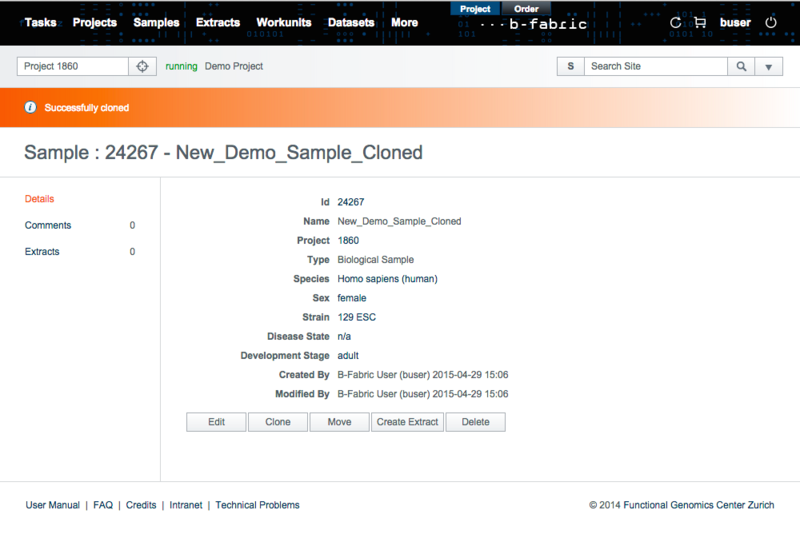 By clicking on the 'Save' button you will get to the show screen of the cloned sample. Created by fetzerm. Last Modification: Tuesday May 3, 2016 12:12:58 CEST by tuerker.